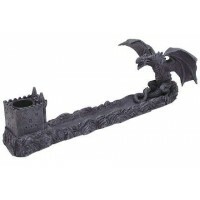 Beautifully detailed hand painted resin Dragon geode tower incense holder is designed for incense sticks. 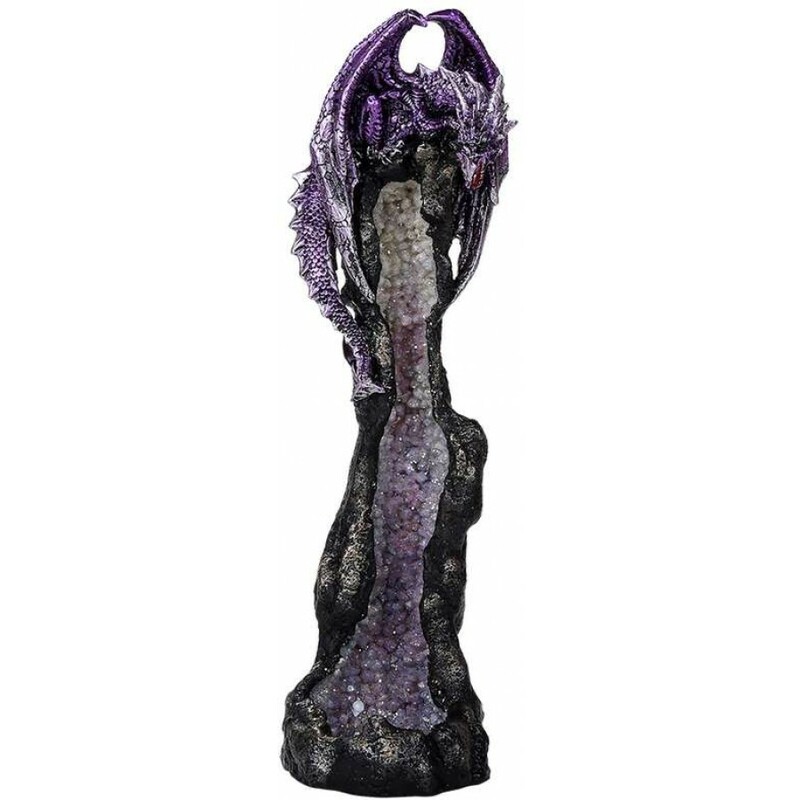 Standing 10 1/2 inches tall, this incense holder features a purple metallic dragon perched on a geode tower. Hand painted cold cast resin. 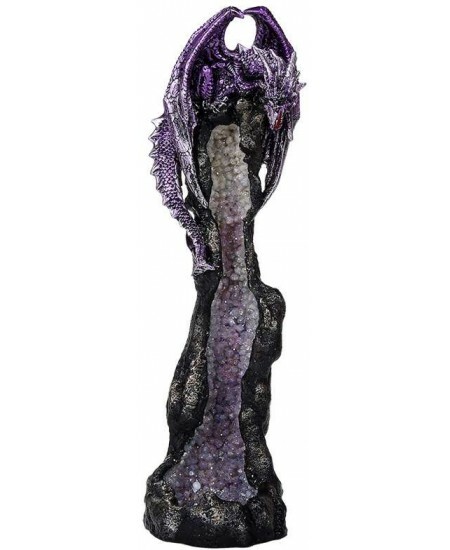 Item Number: PT-12390 | Approximate Size (Inches): 3.10 wide x 3.10 deep x 10.50 high | Approximate Shipping Weight: 1.50 lbs.